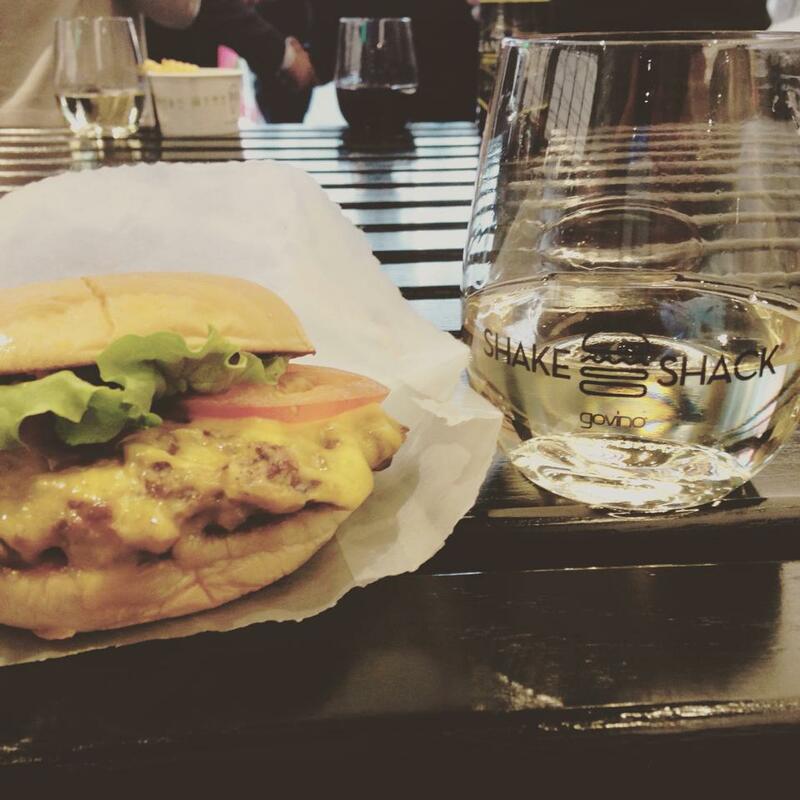 A whole night with an endless supply of Shake Shack burgers, dogs, fries, shakes and wine. 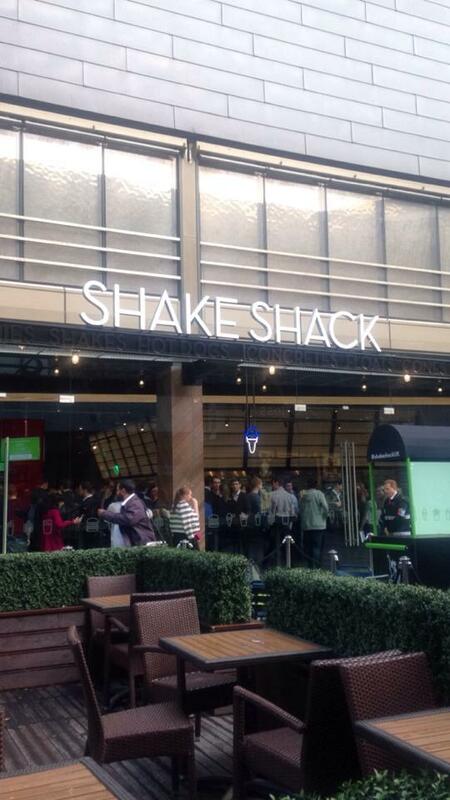 On Tuesday 19 May I visited Shake Shack at Westfield Stratford for their housewarming party, ahead of their launch on Wednesday 20 May. The new venue is situated on The Street opposite TK Maxx and House of CB. We arrived early but still the restaurant was absolutely packed but despite the HUGE number of guests, there was plenty of food to go around. Stupidly I had just had a late lunch meeting and went for a large portion of mac and cheese and I REALLY regret eating so much prior to arrival. But still I made sure I had room for a vanilla milkshake (or two), a burger, a few fries and of course a few glasses of vino. Can you imagine my delight when trays upon trays of burgers, dogs and fries were being brought around. I’m still feeling guilty to my thighs though for over indulging. Shake Shack didn’t scrimp on the portions either (look at the size of that baby above!) I can’t wait to make stop by again, these burgers were unlike any I’ve had before. My favourite burger had to be the ShackBurger (cheese with ShackSauce – best burger sauce I have ever had!) The burgers are all made from 100% Scottish Aberdeenshire Angus beef. Most ingredients at ShakeShack are UK sourced. The diner features recycle and sustainable materials, for example a member of staff told us that the table tops are made from reclaimed bowling alleys handcrafted in Brooklyn, and reclaimed wall panelling from water tanks from New York. How cool is that? We scoffed burgers and shakes whilst listening to BEAT-A-MAXX and DJ Martin2Smooves followed by music from Irish rock band The Coronas who were headlining. The restaurant was buzzing! 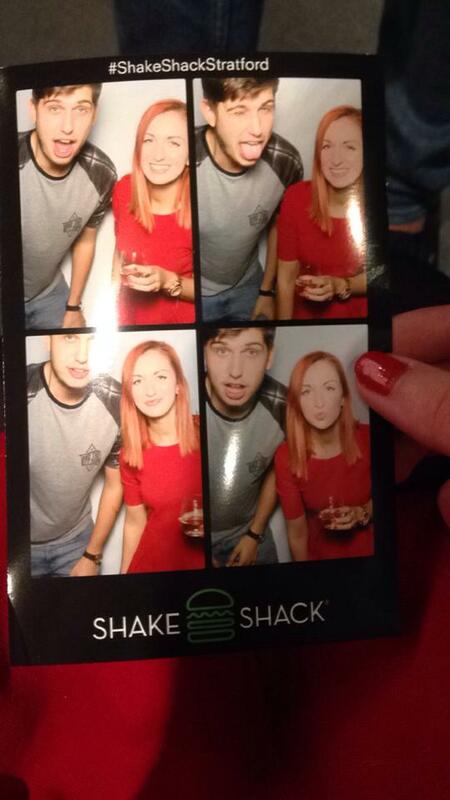 We took advantage of the photo booth too. The location of the new Shake Shack is perfect for me. I visit Westfield Stratford often to shop as it’s very easy to reach from Kent so I will definitely be back. My mouth watered the whole way through writing this. Oh god, I am definitely coming back next time I am in Stratford. 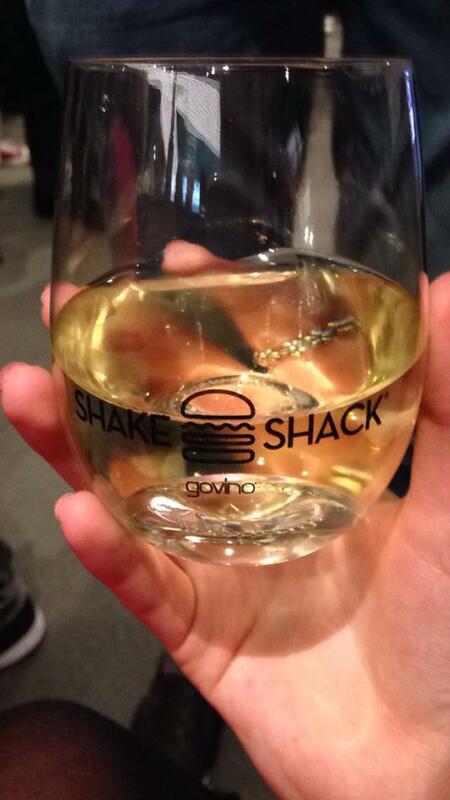 Thanks for the t-shirt Shake Shack!